Reddy, S. 2015. Smallholders need a seat at the table too . GREAT insights Magazine, Volume 4, Issue 2. February/March 2015. For agricultural public-private partnerships to be effective, we need another ‘P’ – the participation of smallholders themselves. 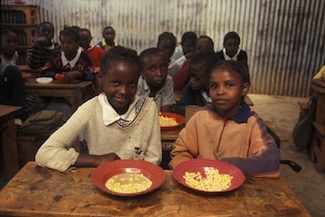 Without this, genuine opportunities to transform lives and tackle food insecurity may be lost. Smallholder farmers are crucial for global food security. Around the world, two billion people rely on 500 million smallholder farms for their livelihood. In recent years, the role of smallholders in key regional and global value chains – for example, in cereals, bananas, coffee, and cocoa – has gained increased recognition. Yet, despite their central role in food production, many smallholder farmers themselves suffer from chronic food insecurity and hunger. Millions more live on the threshold of poverty and struggle to earn enough from their crops to cover the costs of sustainable production, let alone make a decent living for themselves and their families. Recognition of this situation is encouraging many businesses and aid donors to invest in new models of agricultural public-private partnerships (PPPs). In different ways, these claim to attract new investment and promote changes to the policy environment, while securing benefits for smallholder farmers. Fairtrade works with businesses to change the way that they trade. We also work with over a million smallholder farmers – typical intended beneficiaries of such PPPs. Our experience is that the right kind of private sector partnerships have the potential to improve, or even transform, the lives of smallholders and their communities. But trading relationships with smallholders are usually imbalanced: buyers have many supply options (and the purchasing power) whereas smallholders can lack capital, information, and alternatives. Investment in PPPs which fails to adequately consider such dynamics risks further disempowering smallholders and exacerbating poverty. The multiple appeals of PPPs have led to a surge in the number of such initiatives in African agriculture, both at the macro-policy level, and at the project level. Many of these initiatives claim to benefit smallholder farmers. However, there has been relatively little analysis conducted on how successfully agricultural PPPs are engaging with smallholder producers themselves. How far are PPPs incorporating farmers into the design, development, implementation and evaluation of these partnerships? 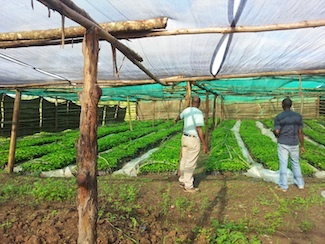 In 2014, the Fairtrade Foundation set out to assess how a small number of PPPs in Ghana, Malawi and Kenya were engaging with smallholders, what the farmers’ experiences had been so far, and whether there were lessons that could be learned by governments, private sector investors and NGO partners. Our research suggested that a number of agricultural PPPs in Africa were paying insufficient attention to the interests, needs and priorities of smallholder farmers. Few, if any, meta-level fora existed which enabled smallholders to sit around the table with representatives from governments, agribusiness companies and other stakeholders and direct the evolution of PPPs as equal partners. Within specific projects, smallholders were often perceived as beneficiaries of the PPP, but were largely peripheral in the management of these initiatives. In addition, partnerships seemed to be largely driven by pre-conceived ideas amongst governments and donor partners about the requirements of smallholders. Interviews with farmers’ organisations in each of the three countries revealed that there was often a disconnect between the priorities established for agricultural PPPs and the smallholders’ own priorities for investment. Overall, mechanisms to engage smallholders in the design of agricultural PPPs in Africa appear to be weak. Smallholders are likely to have limited engagement with PPPs where they lack a strong political voice – unless special efforts are made to ensure this happens. A failure to listen can exacerbate existing inequalities and make things worse – not better – for the communities such projects are intended to help. In a case identified by our researchers, more than 250 smallholder farmers in Dwangwa, central Malawi claimed they were forced off their land, to make way for a sugarcane PPP that was funded by the African Development Bank and is now under the umbrella of the New Alliance. Some alleged they were beaten by armed police and had their homes destroyed. Another 32 smallholders claimed they were forced off land for an EU-funded sugarcane scheme. One farmer said he was offered just US$23 compensation for a one-acre plot, while well-connected ‘outsiders’ linked to commercial interests were allocated land. An EU review of the land re-allocation undertaken for the Dwangwa sugarcane PPP noted it had a ‘negative effect on poverty’. Our study found that it exacerbated inequality with some farmers becoming landless and hungry while others gained from higher incomes. Lack of engagement in the design of agricultural PPPs is particularly evident where PPPs are demand-driven, shaped predominantly by the commercial interests of private sector partners. 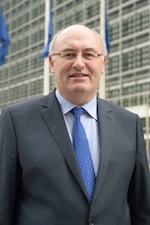 Lying behind this demand-driven approach seems to be an implicit perspective from government and donor partners that the problems of smallholders are already well understood, and that by inviting smallholders to participate in ready-made PPPs that provide them with opportunities to access inputs, links to markets or credit, they will automatically improve their prospects. However any such assumptions must take into account the specific context of those farmers, such as crops already being produced, food security needs and land use issues. Arguably, this also requires that smallholder farmers be well organised and ensure that ground-level interests are effectively communicated in the appropriate forum by their representatives. For agricultural PPPs do not operate within a vacuum. They are framed by the political economy of their location. 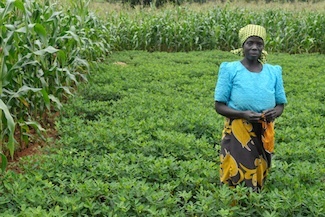 As such, the likelihood of any given partnership meeting the needs of smallholders will depend on a variety of factors including the existing and preferred livelihood activities of smallholder producers: the strength of local community institutions; security of land rights; existing market participation and relationships; the state of local infrastructure; presence of extension services, etc. There is also the question of how relationships between women and men and power relations at the community level are likely to shape how PPPs create (or deny) opportunities for benefit sharing both within and between households. A failure to adequately consider such factors and tailor PPPs accordingly can lead to partnerships that miss or ignore smallholder farmers’ priorities, or in the worst case scenario, actually aggravate local social and economic disparities and inequalities and exacerbate poverty. Of course, linking to new markets is useful, but an exclusive focus on the demand-side risks closing down the space for alternative partnership models built on farmers’ visions and priorities. For example, in the Ghana Commercial Agriculture Project – a US$145m partnership between the Government of Ghana, the World Bank and USAID, which aims to increase the productivity of smallholder farmers in the Accra Plains and SADA region – there has only been one occasion, in 2011, when smallholders had an opportunity to express their views about the PPP. “Being a farmer leader…and having direct contact with other producers across the country and the continent – I think that we should be the ones who add value to reshaping the way a project can work for the benefit of producers,” said Chief Adam, President of the Gbankuliso Cashew Farmers’ Association in Ghana, a long-established farmer-based organisation in the SADA region’s Bole district with nearly 1,000 smallholder members. “This project has come to change and improve the lives of farmers. But you cannot make a change if you do not have people working together,” he added, in an interview for our report. Alongside the concerns, our researchers found some signs of positive progress: a number of civil society representatives were invited to roundtable discussions about Malawi’s New Alliance country co-operation framework agreement, although few had taken up the invitation. An EU-funded project delivered by Concern Universal has sought to build the capacity of sugarcane outgrower groups in Dwangwa to represent themselves, and some of the coffee farmers we interviewed in Kenya saw the potential for improved market access as a result of the Nyeri coffee PPP. Agricultural PPPs have the potential to boost productivity, increase market access for smallholders, and ultimately, to improve lives. But there is a real danger of commercial interests alone dominating the choice of priorities. The voice of smallholder farmers is not currently being heard and their actual needs are neglected. If agricultural PPPs are here to stay, the governments, NGOs and businesses involved with them must do more to ensure that smallholder farmers can play an active role in their inception, design and development. We need a fourth “P” – for participation – to make sure that private sector initiatives in agriculture are going to benefit smallholders, not just boost profits for shareholders. Establish clear development goals – any investment that aims to reduce poverty, increase food security or contribute to more sustainable livelihoods, should be linked to clear and measurable development goals that are monitored and evaluated against robust and reliable indicators. Clarify land tenure – by checking if the relevant government has a functioning land policy and legislation in place, with a view to clarifying arrangements for customary land and understanding the rights for local communities. 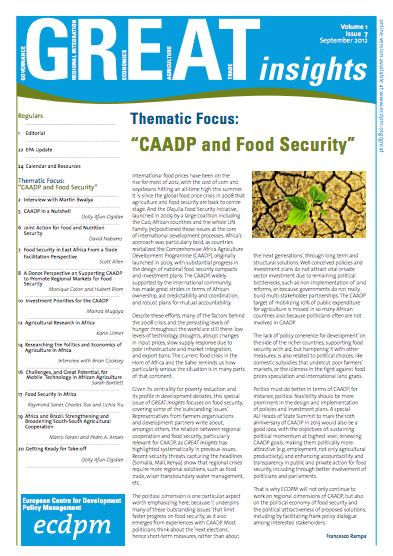 Engage farmers in design and development – building the capacity of farmer representatives, so that they can sit around the table with other stakeholders as equal partners, means the PPP benefits from knowledge of the local context and the farmers’ understanding of possible opportunities and risks. Be transparent and accountable – information should be provided in local languages and made publicly available. All donor, government and investment commitments should be disclosed during a full stakeholder consultation, which should be conducted over a reasonable timeframe so that it is thorough and meaningful. 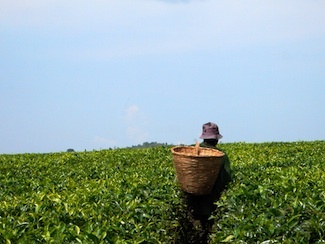 Adopt the highest standards – the highest existing labour, environmental and human rights standards should be applied, in line with the United Nations (UN) Guiding Principles on Business and Human Rights (Ruggie Principles), the UN Principles for Responsible Investment, and the UN Voluntary Principles on the Responsible Governance of Land Tenure. There should be rigorous social impact assessments to identify and mitigate potentially harmful impacts before proceeding with investment. ‘A seat at the table? Ensuring Smallholder farmers are heard in Public-private partnerships’, the Fairtrade Foundation’s study of agricultural PPPs in Africa is available in full at www.fairtrade.org.uk/en/what-is-fairtrade/policy-briefings-and-reports. 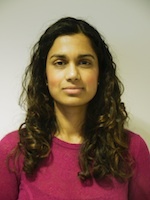 Shivani Reddy is policy manager at the Fairtrade Foundation, the UK member of Fairtrade International.